Post subject: Post your 100 yards target grouping using .177 cal. With detail airgun, pellet, speed, etc. An introduction would be nice. At least other members can understand as to your reasoning into this line of questioning. In the alltimate search upon learning. You first... Video footage even better. Don't get the wrong idea. It,s just a simple format we like to follow in order to better associate with new members. also there are likely not many shooters on here that have recorded 100 yd shooting, or that even have a place to shoot 100 yds. NP - I use .172's because they are more accurate. I shoot 100meters,not 100yards. Hmm, I'd sure love to see 3880 come up on the chrony. Is that 20gr I see there? Those are some sweet targets. What cartridge is used to push those at that speed? Checking with Google it seems that not a lot of airgunners use .177" for 100 yards or 100 metres in competition. Mostly .20" or larger calibre. One indoor 100 metre event for instance, a few years ago in Arizona, was won by a fellow using a fellow using a Theoben rifle in .20" shooting at 25fpe. 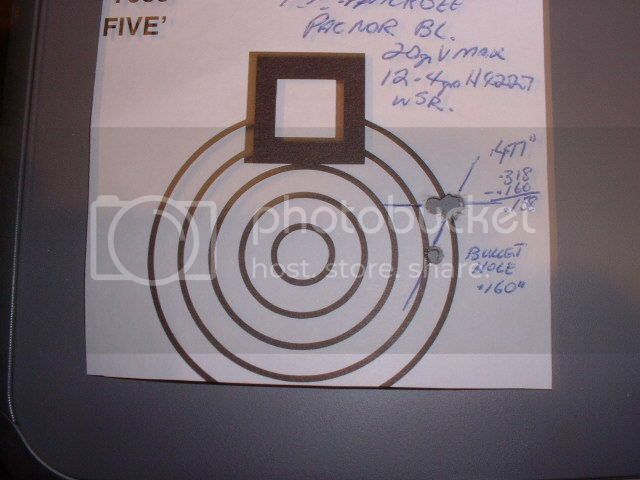 He scored with the smallest 10 shot group measuring just 26.89mm. Just over 1". Which is amazing! This was bench rest shooting, where the only rules were that the shooters use an airgun and that it not be tethered to a bottle. I doubt too many of us shoot seriously at that distance. In Holland apparently 100 metre competition is a thing. And in the Philippines as well, as crossliner has attested. But for the most part an airgun pellet starts failing to be accurate somewhere around 60 to 80 metres, at least out of most airguns and with most pellet types. .177" may work for that range, if there's zero wind and one chooses a heavy pellet with the right ballistics properties, and if it's shot out of a flawless barrel, perfectly crowned, and at the perfect velocity so as to remain stable - ie; subsonic but not so slow as to drop into the dirt before it gets to the target. At a guess it seems likely the thread-starter joined CAF with a random question and intends to return some day to modify his posting signature, to contain a link to some spam/sales nonsense. This sort of drive-by membership is fairly common on a lot of forums. Hope I'm wrong, but with only one post so far from 'calico' and no location nor other information in his profile it seems likely he's a spammer, so I'm commenting in this thread in part to keep an eye on his signature whenever comments are added. Still, it's an interesting topic, as 100 yards and/or metres makes for quite a challenging shot. Wish I had some place to give it a try, but the Mission archery range only offers about 60 metres maximum, and even that's up on the gravel slope. Kind of hard to put targets up there without causing a slide. My little soap bar sized target has taken a fair beating already at last month's meet, some from only 30 metres, some from as far as 60 metres. Maybe I'll make another bright white target of similar size and see if it can be placed just a bit further out, up the slope, maybe among the first line of trees. 70 metres would be a fun challenge! 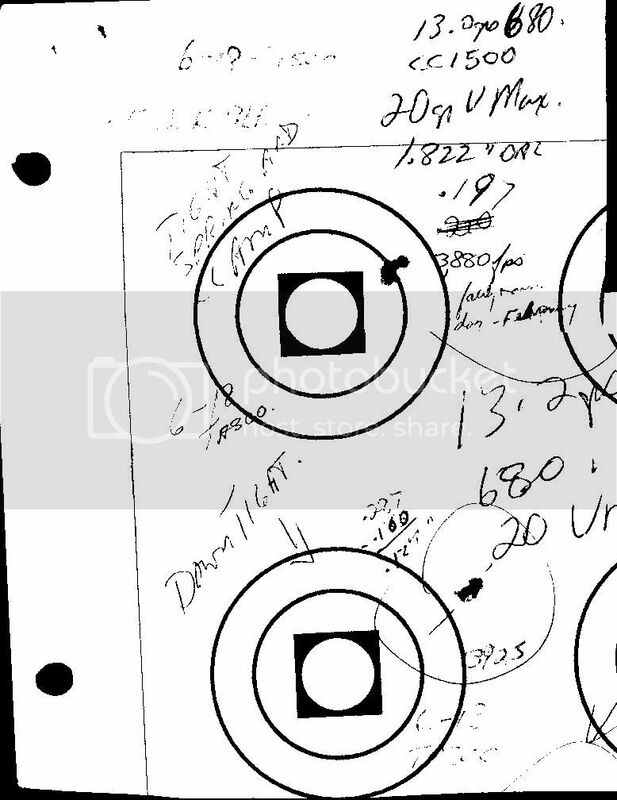 Even re-zeroed for the target distance, the path of the pellet would have to arc to 31 inches above the POA! I think I may not be well equipped for this particular exercise. Yeah, with my Atomic carbine at about 500fps using Hobby 11.9gr in .22" the arc would be 180cm, or 70", peaking at 65 metres. A bit ridiculous really, not sure my scope would adjust that far, to zero at 100m. Be fun to try though, for giggles should I happen to hit a tin can at that range and hear it plink. Especially twice in a row, that'd be hilarious. Here's mine at 100 yards: Sub 500 fps Chinese made air rifle using .177 cal 10.5gr CP washed and sorted with open sights!!! Woa - stuff of legend!